While doing Integration testing we are following Top-down and Bottom-up approach. - How to do Web Application Testing? 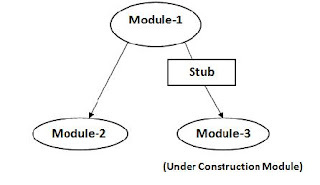 Integration of main module with some of the stub modules is called as Top-down approach.In this case we are using temporary programs instead of under constructive Stub modules.By doing this we can stop the control to the module which is under construction. 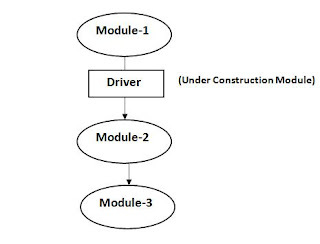 Integration of sub modules without main module is called as Bottom-Up approach.In this case instead of main module we are using a temporary program called as driver.Here we are using driver to send the control or to connect to the next module.